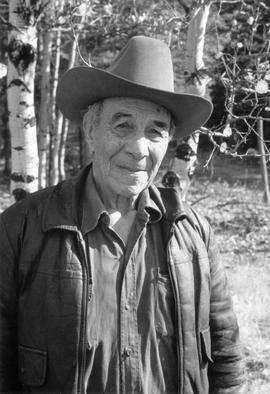 Kreg Sky, an independent researcher in Victoria, conducted a research project between 1983 and 1984 to interview guides and outfitters who operated in the Canadian Rockies and Kootenays, mostly in the years prior to World War II. The fonds consists of oral history interviews and photographs of guides and outfitters who operated in the Canadian Rocky Mountains, mainly in the years before World War II. The fonds was created by Kreg O. Sky in the course of his research project. Received from Kreg O. Sky, February and November 1984. Reference cassette copies are available for use in the archives reference room. Item-level descriptions of the interviews are available on-line. Sound recording originals may be in cool storage.